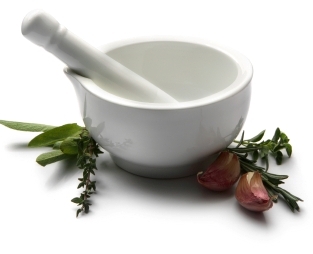 Find out about 'Understanding Homeopathy' on The Wellness Directory. Then find a Homeopathy practitioner to help you with . As a young university student in the 1980s I was fascinated by how the human mind worked but after 4 years studying pyschology I was left pondering one essential question. How can a health practitioner possibly understand the human mind without understanding the physical body which is the chemical soup on which the mind is dependent? The arrival of our eldest daughter, her adverse reaction to a DTP vaccination in 1988 and subsequent ear infections started me on a journey to find a way to help her. A chance recommendation to a homeopath resulted in an effective treatment for my daughter’s ear infections and I started on a 20 year journey of learning about homeopathy. Visiting a homeopath is much like visiting the doctors of old who knew the value of giving time to listen. Through careful attention to the person as they talk about the story of their symptoms and how that relates to their life, the homeopath is able to match the person's symptoms with the homeopathic medicine that is known to treat these symptoms. Homeopathic medicines are generally made from plants, animal substances and minerals which are transformed into energetic medicines, through the process of dilution and shaking (succusing), under strict manufacturing processes. These medicines resonate with the body’s energy field to effectively stimulates the immune system to action. So how can something so dilute and essentially non-chemical have such a profound healing effect in the body? Most people intuitively understand the concept of life force. It is the energy that permeates the body when we are alive and has left the body when we die, despite the chemistry of the body being intact. Science now understands through experiments in the field of quantum physics that the body is comprised of energy fields that permeate atoms demonstrating an interconnectedness between all living and even non-living systems. These spaces (known as ‘Zero Point Fields’) between atoms hold a kind of cellular memory through wave patterning. Lynne McTaggart’s book “The Field” describes the many scientitic breakthroughs over the past 50 years by scientists such as Karl Pribram, Jacques Benveniste, Fritz-Albert Popp and others who, against a background of ridicule and disbelief, have worked to demonstrate the concepts of Zero Point Fields; light fields in the body; the cellular memory of water. Long before these scientists did their work Dr Samuel Hahnemann, (b. 1755) physician, scientist and extraordinary linguistic, understood how the life force of the person keeps all parts of the organism in harmony. Dr Hahnemann like many other medically-trained homeopaths since the 1700s found homeopathic medicines helped the body’s attempts to bring about wellness. We are at an exciting time in our understanding of how the human body heals itself. Over the past 20 years more than 3000 homeopathic medicines have been developed and can now be researched through powerful search engines that allow a homeopath to find a homeopathic medicine that matches a patient’s symptom picture. Some homeopaths also engage directly with the person’s energy field through kinesiology for instance. The homeopathic consultation helps us to understand how our internal world of rational and irrational thoughts and feelings are initimately connected to our physical symptoms and the story of our lives. Angela Hair has worked as a homeopath in Havelock North for 14 years. In her busy practice she has worked with many families coping with the day to day challenges of sick children and emotional stresses.